APPSC UDC Clerk Recruitment 2013-2014 Online Application Form. 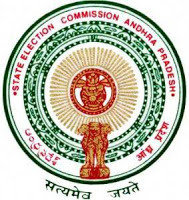 APPSC (Andhra Pradesh Public Service Commission) Itanagar inviting the online applications for the post of UDC (Upper Division Clerk) to fill the 12 vacant positions. More details are given at official website of commission http://appsc.gov.in. Interested and eligible candidates can read the following details for more information and criteria. Candidates interested to apply for this post must be a graduate (Bachelor’s Degree) in any discipline from any recognized university. Interested and eligible candidates must have to read the following advertisement document to know the exact procedure to apply for APPSC Clerk Jobs. Download the following document. Visit the official website of Andhra Pradesh Commission for more information and updates http://appsc.gov.in and like us on facebook.